Heart failure is a growing problem in sub-Saharan Africa. This arises as the prevalence of risk factors for cardiovascular disease rises, life expectancy increases and causes of heart failure more common in Africa, such as rheumatic heart disease and endomyocardial fibrosis, continue to be a significant issue. Lack of access to diagnostics is an issue with the expense and technical expertise required for echocardiography limiting access. Biomarker strategies may play a role here. Access to essential medicines is also limited and requires a renewed focus by the international community to ensure that appropriate medications are readily available, similar to that which has been implemented for HIV and malaria. Over the past several years a shift in the cardiovascular disease profile has been observed, which was reflected by recent clinical trial data derived from the largest multicentre registry for heart failure in Africa. The sub-Saharan Africa Survey of Heart Failure (THESUS-HF)6 study characterised the causes, treatment and short-term outcome in 1006 Africans from nine SSA countries. Compared with data from prior to 2005, it highlighted hypertension as a rising cause of heart failure (from 23 % to 43 %), an increasing importance of cardiomyopathies (from 20 % to 29 %), a reduced recognition of rheumatic heart disease (from 22 % to 17 %), and a rise in ischaemic heart disease (from 2 % to 8 %) in the aetiology of heart failure.4 Recent studies that have specifically looked for evidence of ischaemic heart disease have shown a higher prevalence than previously reported. A case-control study from Kenya recently suggested that ischaemic heart disease was the second most common cause of heart failure.7 This is in line with the changing demographics in Africa and rise in risk factors, such as hypertension, diabetes and obesity (Table 1). There are also causes of heart failure that are significantly more prevalent in Africa and rarely found outside low-income countries, such as rheumatic heart disease, endomyocardial fibrosis and HIV-related cardiomyopathy. Rheumatic heart disease, caused by infection with group A Streptococcus, has been virtually eliminated in high-income countries but continues to be a significant problem in Africa. The prevalence of clinically silent rheumatic heart disease (21.1 per 1000 people; 95 % CI [14.1–31.4]) was about seven to eight times higher than that of clinically manifest disease (2.7 per 1000 people; 95 % CI [1.6–4.4]).20 A recent study demonstrated the young age of patients with this condition (median age of 28 years) had a female preponderance (66.2 % female) and up to a quarter had evidence of left ventricular dysfunction.21 Prevention of progression of valvular disease is currently based on regular penicillin prophylaxis. In the absence of sufficient resources, an effective approach to perform large-scale risk-profiling of patients would be the implementation of a point-of-care diagnostic test throughout SSA that could be used nationwide when echocardiography facilities are not available or readily accessible. Biomarker diagnostic tests are easy to perform as they do not require specific medical expertise and can be performed in any location as point-of-care tests, and are therefore practical in rural community settings that have limited access to hospitals or medical centres. The use of natriuretic peptides (NPs) as a tool to rule out heart failure has been implemented in high-income countries33 with success and these tests are also now available as point-of-care tests, which may prove a useful strategy in Africa. NPs are protein biomarkers with established clinical significance for diagnosis and prognosis of cardiovascular disease and heart failure.34 Among them B-type natriuretic peptide (BNP) and N-terminal prohormone BNP (NT-proBNP) have consistently been shown to have the best diagnostic, prognostic and therapeutic clinical benefits in relation to both acute and chronic heart failure.34–36 NPs have also been shown to be superior to echocardiography parameters in risk stratification in hypertension.37 The strength of using inexpensive BNP and NT-proBNP tests for risk stratification of patients with high-risk factors for heart failure was also demonstrated by several clinical studies, including the recently published St Vincent’s Screening to Prevent Heart Failure Study (STOP-HF)38 and the NT-proBNP Selected Prevention of Cardiac Events in a Population of Diabetic Patients Without a History of Cardiac Disease (PONTIAC) study.39 These studies used BNP and NT-proBNP, respectively, to identify a high-risk cohort in a group of individuals with cardiovascular disease or risk factors. By targeting care to these individuals (mostly through enhanced use of renin–angiotensin–aldosterone system modifying therapies and beta-blockers, which are also the keystone therapies in the management of heart failure with reduced ejection fraction, these studies were able to achieve a significant reduction in new onset heart failure and other major adverse cardiovascular events. 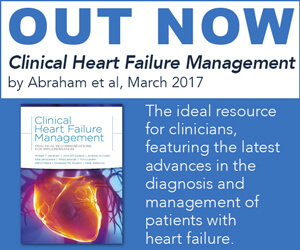 In low- and middle-income countries where access to expensive and technical cardiac imaging is likely to remain limited and confined to large population centres there is a potential for NPs to aid in the diagnosis and management of heart failure, particularly in combination with point-of-care echocardiography. Heart failure in SSA is an increasing issue. There is a need to explore new diagnostic strategies that are implementable in low-income countries with a predominantly rural population. There is also a need to explore management strategies and, in particular, medication supply. Further research is also required in conditions particular to the African region, such as rheumatic heart disease and endomyocardial fibrosis, to ensure these conditions can be effectively managed. Damasceno A, Cotter G, Dzudie A, et al. Heart failure in sub-Saharan Africatime for action. J Am Coll Cardiol 2007;50:1688–93. Tefera YG, Abegaz TM, Abebe TB, Mekuria AB. The changing trend of cardiovascular disease and its clinical characteristics in Ethiopiahospital-based observational study. Vasc Health Risk Manag 2017;13:143–51. Abebe TB, Gebreyohannes EA, Tefera YG, Abegaz TM. Patients with HFpEF and HFrEF have different clinical characteristics but similar prognosisa retrospective cohort study. BMC Cardiovasc Disord 2016;16:232. Mayosi BM. Contemporary trends in the epidemiology and management of cardiomyopathy and pericarditis in sub-Saharan Africa. Heart 2007;93:1176–83. Dokainish H, Teo K, Zhu J, et al. Heart failure in Africa, Asia, the Middle East and South Americathe INTER-CHF study. Int J Cardiol 2016;204:133–41. Damasceno A, Mayosi BM, Sani M, et al. 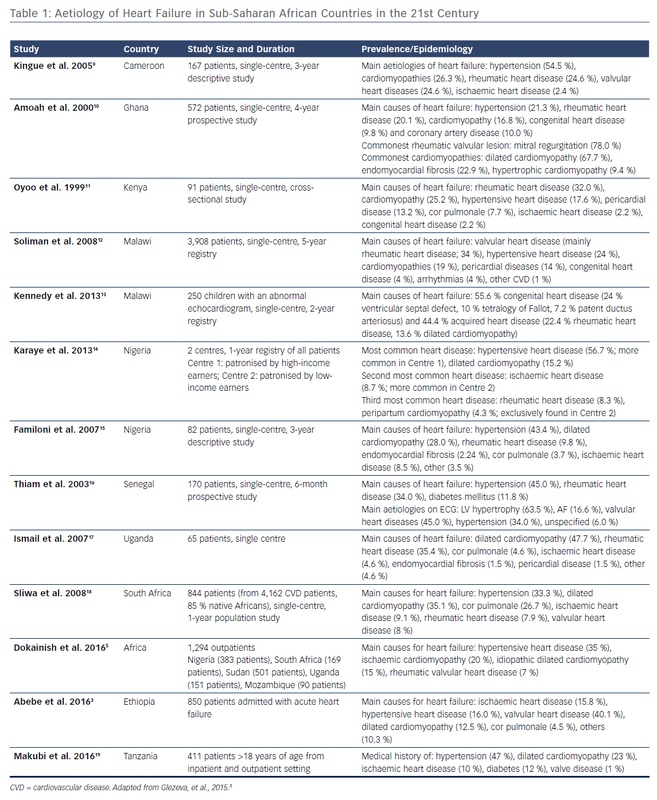 The causes, treatment, and outcome of acute heart failure in 1006 Africans from 9 countries. Arch Intern Med 2012;172:1386–94. Bloomfield GS, DeLong AK, Akwanalo CO, et al. Markers of atherosclerosis, clinical characteristics, and treatment patterns in heart failurea case-control study of middle-aged adult heart failure patients in rural Kenya. Glob Heart 2016;11:97–107. Glezeva N, Gallagher J, Ledwidge M, et al. Heart failure in sub-Saharan Africareview of the aetiology of heart failure and the role of point-of-care biomarker diagnostics. Trop Med Int Health 2015;20:581–8. Kingue S, Dzudie A, Menanga A, et al. [A new look at adult chronic heart failure in Africa in the age of the Doppler echocardiographyexperience of the medicine department at Yaounde General Hospital]. Ann Cardiol Angeiol (Paris) 2005;54:276–83 [in French]. Amoah AG, Kallen C. Aetiology of heart failure as seen from a National Cardiac Referral Centre in Africa. Cardiology 2000;93:11–8. Soliman EZ, Juma H. Cardiac disease patterns in northern Malawiepidemiologic transition perspective. J Epidemiol 2008;18:204–8. Kennedy N, Miller P. The spectrum of paediatric cardiac disease presenting to an outpatient clinic in Malawi. BMC Res Notes 2013;6:53. Karaye KM, Sani MU. 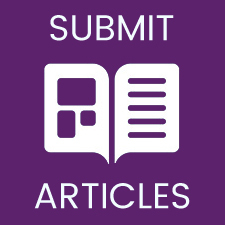 The impact of income on the echocardiographic pattern of heart diseases in Kano, Nigeria. Niger J Med 2008;17:350–5. PMID18788267. Familoni OB, Olunuga TO, Olufemi BW. A clinical study of pattern and factors affecting outcome in Nigerian patients with advanced heart failure. Cardiovasc J Afr 2007;18:308–11. PMID17957325. Thiam M. [Cardiac insufficiency in the African cardiology milieu]. Bull Soc Pathol Exot 2003;96:217–8 [in French]. PMID14582299. Ismail Y, Andia I, Byaruhanga S, et al. Echocardiographic features of cardiac failure in Uganda. Trop Doct 2007;37:267–8. Sliwa K, Wilkinson D, Hansen C, et al. Spectrum of heart disease and risk factors in a black urban population in South Africa (the Heart of Soweto Study)a cohort study. Lancet 2008;371:915–22. Makubi A, Hage C, Sartipy U, et al. Heart failure in Tanzania and Swedencomparative characterization and prognosis in the Tanzania Heart Failure (TaHeF) study and the Swedish Heart Failure Registry (SwedeHF). Int J Cardiol 2016;220:750–8. Rothenbühler M, O’Sullivan CJ, Stortecky S, et al. Active surveillance for rheumatic heart disease in endemic regionsa systematic review and meta-analysis of prevalence among children and adolescents. Lancet Glob Health 2014;2:e717–26. Zühlke L, Engel ME, Karthikeyan G, et al. Characteristics, complications, and gaps in evidence-based interventions in rheumatic heart diseasethe Global Rheumatic Heart Disease Registry (the REMEDY study). Eur Heart J 2015;36:1115-22a. Mocumbi AO, Ferreira MB, Sidi D, Yacoub MH. A population study of endomyocardial fibrosis in a rural area of Mozambique. N Engl J Med 2008;359:43–9. Pugliese A, Isnardi D, Saini A, et al. Impact of highly active antiretroviral therapy in HIV-positive patients with cardiac involvement. J Infect 2000;40:282–4. PMID10908024. Cerrato E, D’Ascenzo F, Biondi-Zoccai G, et al. Cardiac dysfunction in pauci symptomatic human immunodeficiency virus patientsa meta-analysis in the highly active antiretroviral therapy era. Eur Heart J 2013;34:1432–6. Mosterd A, Deckers JW, Hoes AW, et al. Classification of heart failure in population based researchan assessment of six heart failure scores. Eur J Epidemiol 1997;13:491–502. Carlson KJ, Lee DC, Goroll AH, et al. An analysis of physicians’ reasons for prescribing long-term digitalis therapy in outpatients. J Chronic Dis 1985;38:733–9. Harlan WR, Oberman A, Grimm R, Rosati RA. Chronic congestive heart failure in coronary artery diseaseclinical criteria. Ann Intern Med 1977;86:133–8. McKee PA, Castelli WP, McNamara PM, Kannel WB. The natural history of congestive heart failurethe Framingham study. N Engl J Med 1971;285:1441–6. Ponikowski P, Voors AA, Anker SD, et al. 2016 ESC Guidelines for the diagnosis and treatment of acute and chronic heart failureThe task force for the diagnosis and treatment of acute and chronic heart failure of the European Society of Cardiology (ESC). Developed with the special contribution of the Heart Failure Association (HFA) of the ESC. Eur J Heart Fail 2016;18:891–975. Yancy CW, Jessup M, Bozkurt B, et al. 2013 ACCF/AHA guideline for the management of heart failurea report of the American College of Cardiology Foundation/American Heart Association Task Force on Practice Guidelines. J AM Coll Cardiol 2013;62:e147–239. Carlson S, Duber HC, Achan J, et al. Capacity for diagnosis and treatment of heart failure in sub-Saharan Africa. Heart 2017;103:1874–9. Kwan GF, Bukhman AK, Miller AC, et al. A simplified echocardiographic strategy for heart failure diagnosis and management within an integrated noncommunicable disease clinic at district hospital level for sub-Saharan Africa. JACC Heart Fail 2013;1:230–6. Mant J, Doust J, Roalfe A, et al. Systematic review and individual patient data meta-analysis of diagnosis of heart failure, with modelling of implications of different diagnostic strategies in primary care. Health Technol Assess 2009;13:1–207. Maisel A, Mueller C, Adams K, Jr., et al. State of the artusing natriuretic peptide levels in clinical practice. Eur J Heart Fail 2008;10:824–39. de Lemos JA, McGuire DK, Drazner MH. B-type natriuretic peptide in cardiovascular disease. Lancet 2003;362:316–22. Clerico A, Fontana M, Zyw L, et al. Comparison of the diagnostic accuracy of brain natriuretic peptide (BNP) and the N-terminal part of the propeptide of BNP immunoassays in chronic and acute heart failurea systematic review. Clin Chem 2007;53:813–22. Gallagher J, Watson C, Zhou S, et al. B-type natriuretic peptide and ventricular dysfunction in the prediction of cardiovascular events and death in hypertension. Am J Hypertens 2018;31:228–34. Ledwidge M, Gallagher J, Conlon C, et al. Natriuretic peptide-based screening and collaborative care for heart failurethe STOP-HF randomized trial. JAMA 2013;310:66–74. Huelsmann M, Neuhold S, Resl M, et al. PONTIAC (NT-proBNP selected prevention of cardiac events in a population of diabetic patients without a history of cardiac disease)a prospective randomized controlled trial. J Am Coll Cardiol 2013;62:1365–72. Khatib R, McKee M, Shannon H, et al. Availability and affordability of cardiovascular disease medicines and their effect on use in high-income, middle-income, and low-income countriesan analysis of the PURE study data. Lancet 2016;387:61–9. Musinguzi G, Bastiaens H, Wanyenze RK, et al. Capacity of health facilities to manage hypertension in Mukono and Buikwe districts in Ugandachallenges and recommendations. PloS One 2015;10:e0142312. Sani MU, Cotter G, Davison BA, et al. Symptoms and signs of heart failure at admission and discharge and outcomes in the sub-Saharan acute heart failure (THESUS-HF) registry. J Card Fail 2017;23:739–42. Sani MU, Davison BA, Cotter G, et al. Echocardiographic predictors of outcome in acute heart failure patients in sub-Saharan Africainsights from THESUS-HF. Cardiovasc J Afr 2017;28:60–7.